There are thousands of book lovers around the world who loves to read new books by their favorite author or the stories they like. We want to keep the excitement for the readers around the world, and this today we will be talking about some book-inspired gadgets. 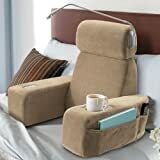 If you’re a reader, you’ll love these gadgets because they take reading/lounging/me time to the next level. Technology has changed everything in the world by making things easy for everyone. There are plenty of gadgets for the books lovers around the world. We have lined up some gadgets that are perfect for you if you are a bookworm and are convenient to use. Here is a list of 10 must-have gadgets for book lovers that they should buy. Amazon's Kindle is a perfect gadget for readers; this is an e-reader that is the most famous gadget in the category and is still the best one even years later. Amazon Kindle Paperwhite is still a perfect gadget for you to buy. It is the best one in the family; it’s not as affordable as the one that was launched before nor is as conveniently smooth or light like Kindle Voyage. This gadget is still the best and has an excellent balance between both of them. Holding up a tablet or Kindle while reading is the first problem that every reader in the world has to face. Reading gets even harder to read for a longer period and can get a bit tiresome for the reader’s arms. To save yourself from twitching around by the period you get to page 50, you can buy cheap yet trustworthy stands for your tablet that'll let you peruse hands-free. Now you can buy this amazing, yet simple AmazonBasics stand on than $10. This stand is compatible with most 6- to 8-inch devices. Nbryte's Tablift stand for a tablet is a perfect selection for every reader who is willing to buy some time for electronic reading before they sleep. Nbryte's has foldable and flexible legs, and it can also bend right around your torso while you are laying on the bed. This gadget gives a genuinely kooky-look but is a handy way to turn the pages as you nod off. For something a little more flexible and effortless to move around the house, you can try Levo's highly-rated Deluxe Floor Stand. This stand is expensive, and you can buy it at $190, but if you are a person who loves hands-free experience, this stand is worth it. While some of the top selling books fascinate the readers, it can be hard to appreciate them while having a noisy environment around. That grows more when readers plan to listen to the audiobook instead. Readers should get some great noise-cancelling headphones. 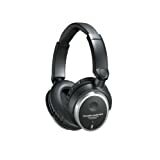 Audio-Technica's ATH-ANC7b QuietPoint are the perfect choice for everyone who is looking for noise-cancelling headphones. These headphones are the best and most reliable way to get some peace. If you can spend a bit more than Bose's QuietComfort series are a perfect gadget that has the best noise-cancelling technology by far. Both over-ear QuietComfort 25s and in-ear QuietComfort 20s will set you back $300. The OontZ Curve is a perfect choice for everyone who is willing to get their audiobook listening done at home. These gadgets are the best Bluetooth speaker that are ideal for personal use. We've displayed the gadget before, but it's highly compact and durable and has a decent battery life with easy-to-use controls. It works with even more complicated recordings. This gadget helps to get spoken, and vocals words come through clearly and in a nice way, which makes this gadget a convenient tool for listening to a story. Every book lover and reader loves the Nap Massaging Bed Rest. It has a broad storage and a cup holder and a book light. Other than all that you also get a built-in massager in this bed rest. If you are a book lover who loves reading in an old-fashioned way, we don’t have much of tech to recommend you, but the best and most reliable clip-on light is the best choice that you can make if want to read in the dark. Mighty Bright's XtraFlex 2 has everything that you think it should have. This gadget stays on top of your book and comfortably light it up. Finally, here's a gadget for people who are willing to take notes while reading. For less than $10, the Bookmarker is a bookmark, and replaceable pen rolled into one. This gadget has a strap for holding your book shut and 100s of little sticky notes to make off pages as well. The Kindle is one of the favorite gadgets when it comes to the convenience and the quality of e-reader, the only weakness of all these series is that none of the gadgets are waterproof. However, if you are looking for the one which is waterproof and offers you the same experience, the Kobo Aura H2O is the best choice which offers the name quality and convenience and is waterproof. So if you’re a book lover and are looking for some gadgets that choose one from the list above. If you already use a gadget do tell us about us. 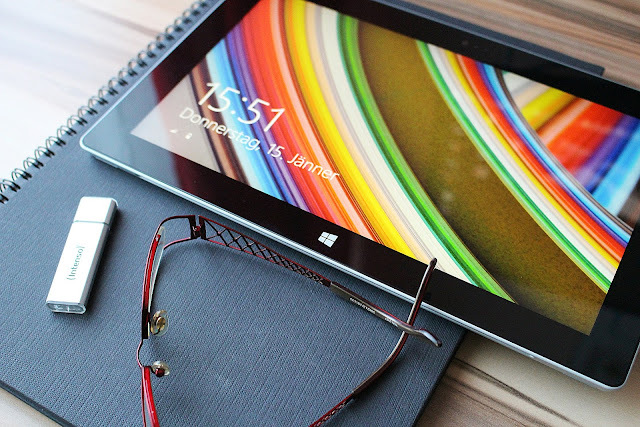 We would love to know what gadgets or accessories you use when reading. Tell us everything in the comments! Mark is a creative writer, working in Logo Venture who puts his utmost effort in explaining the complexities of logo and graphic designing.